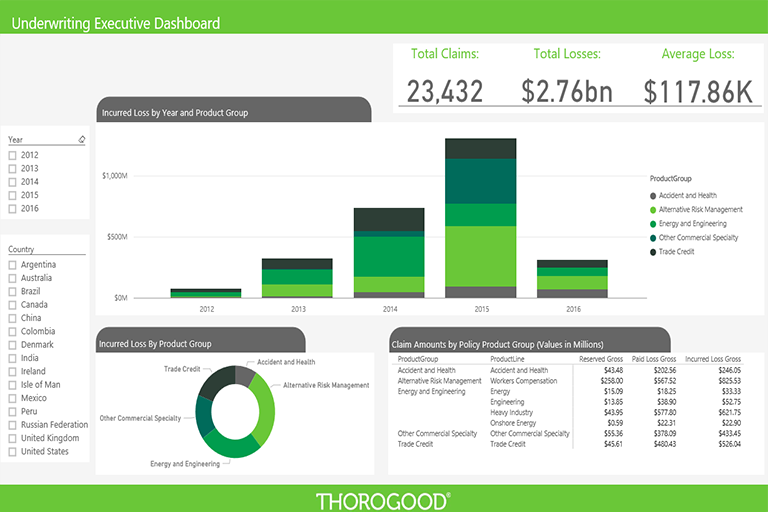 This solution combines historical and current insurance claims data to provide a view on losses and expose relevant trends in the data. 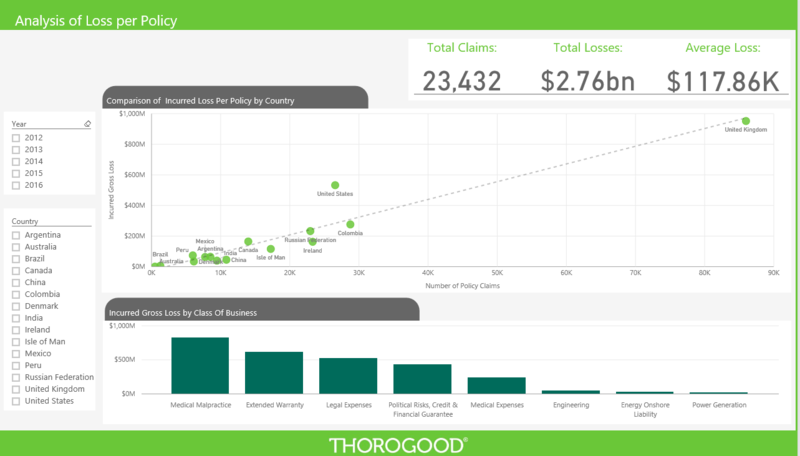 Understanding the origin and product characterization of claims along with amount of incurred losses from those claims helps to identify important trends and where claims are being paid out. 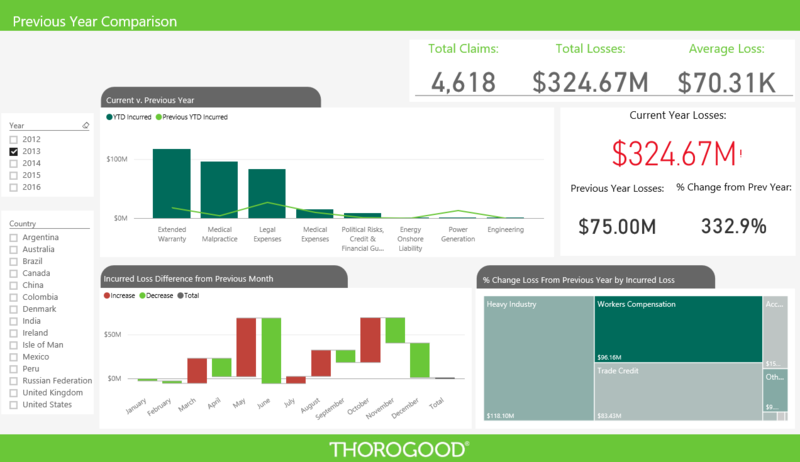 The flexibility to analyze this information through both high-level key performance indicators and detailed views across several different business axes, such as product category and class of business, provides the ability to deliver powerful insights into claims losses for an underwriting department. With these insights, underwriters will be empowered to make more informed data-driven decisions and more accurately assess risk based on losses. Having a clear picture of where losses come from, in terms of both location and type of policy, illustrates trends for underwriters to make more prudent decisions moving forward. Access to robust data visualizations enables users to spot anomalies or policies of concern and make data-driven decisions when issuing new policies to minimize future losses. 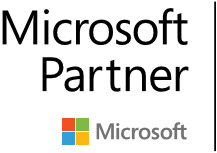 An application like this provides benefit to a range of business functions both in operational and strategic decision-making. The interactivity and self-service nature of the report propel users to efficiently find information that is relevant to them. The video shows some valuable use-cases for the application and how users can uncover insights that change the way their organization makes decisions.